Seeking a vacation in a charming little town, journalist Laura Winner returns to Mysteryville visit her friend Bill. When she arrives she discovers that he is missing and an odd art and jewelery auction about to take place. Are these two events linked? It up to Laura to find out, with your help of course, in this great sequel - Mysteryville 2. Download free full version game and help Laura to investigate the disappearance of your friend Bill and discover the truth of what's going on in Mysteryville 2! 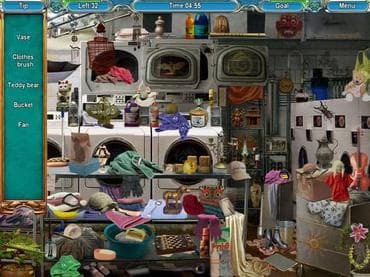 Free Game features: - Unlimited Play; - A Unique Hidden Object Adventure; - An Intriguing Storyline; - Addictive Gameplay; - Gorgeous Full-Screen Graphics. If you have questions about Mysteryville 2 game, please contact us using this form.